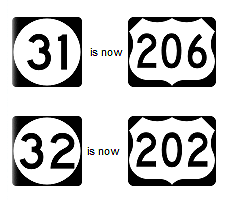 Did you know that US Route 206 actually used to be Route 31 and what is US Route 202 was actually Route 32? and Turn Right onto Route 32 straight into Bernardsville.” Huh. “Route 31 goes to Clinton right? Left? WRONG! Confused? Travel back to 1935 and you definately would have been. 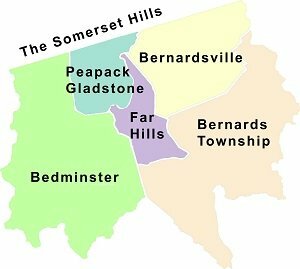 Maybe you could travel down Mine Brook Road to Bernardsville and the directions read take Route 32 south to Bville and stop at the dairy. 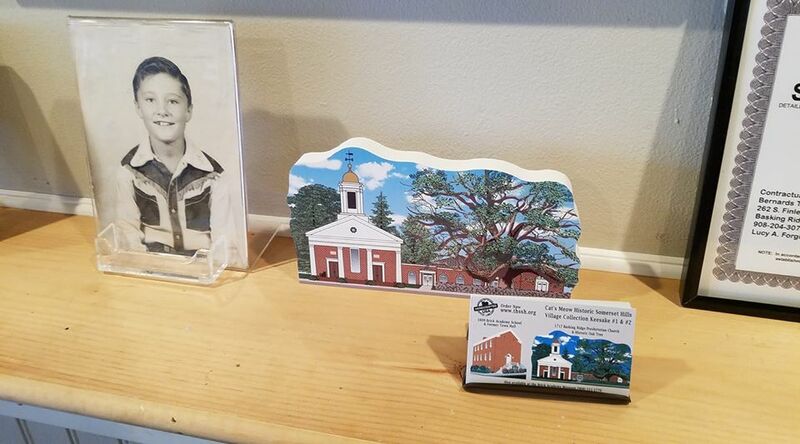 Or maybe you’re coming down from Chester and you wanted to visit the Brady’s Hamilton Farm in Peapack/Bedminster and you actually have to go down Route 31. Well that was actually the case right up until 1935 when the transition began to change these two crossroads across the Somerset Hills to Routes 202 and 206. Have you ever had such a major roadway change names in your lifetime? Your whole psychic changes. Think about how much confusion there is when the Department of Transportation changes highway exits and how long it takes you to forget the old ones and replace it with the new numbers. Geeze, I think there’s still exit signs on the southern end of Route 202 South that still say Old Exit 2B. As local maps were showing back in 1935, Route 32 started basically at what locals know as Willie’s Tavern in Bedminster and heads Northeast towards Bernardsville. In 1966, the Tri-State Transportation Commission first proposed a US 202 Freeway through central New Jersey. That year, in its report Transportation 1985: A Regional Plan, the Commission stated its case for a freeway to fill the gap between I-78 and I-95, as well as to provide a connection to a proposed US 202 Expressway in Pennsylvania: This east-west route through Somerset and Hunterdon counties will fill the needs of the area between I-78 and I-95. It will connect with the proposed Piedmont Expressway (US 202) in Pennsylvania. What other names were given to the local road that’s called Route 202 or Route 206? Route 202 is a highway stretching from Delaware to Maine, also passing through the states of Pennsylvania, New Jersey, New York, Connecticut, Massachusetts, and New Hampshire. PLANNED AS A PARKWAY: In 1932, the Regional Planning Federation (the predecessor agency to the Delaware Valley Regional Planning Commission) proposed a parkway system around the Philadelphia area similar to that constructed by Robert Moses. Borrowing from the Moses design conventions, the four-lane parkways were to feature controlled access, stone-arch bridges, timber lightposts and natural vegetation. One such parkway was to be constructed along the present US 202 corridor through Pennsylvania into New Jersey. In New Jersey, the parkway was to connect to another parkway along the current NJ 29 corridor. It is not known if the proposed parkway was to continue north along US 202 into New York State. US 202 runs southwest-northeast through the northwest part of the state. It was formed in the mid-1930s as a renumbering and extension of US 122 (connecting with US 202 from Maine southward once New York agreed to sign it). Before the GR, US 202 used pieces of 29, 30 (the current multiplex with 31), and 31 (the current multiplex with US 206), all of 32, and a piece of 23, as well as county roads from there north. The history of US 202 is contained in all of the links in this paragraph. Lambertville and Ringoes were bypassed by a freeway on 10/16/1974; the old route became 179. ROUTE NO . – Beginning at Route 29 in the city of Lambertville and running in a westerly direction to the easterly end of the Delaware river bridge in the city of Lambertville, more particularly known as Bridge street and a portion of U.S. Route 202 in the city of Lambertville. L.1948, c. 407, p. 1613, s. 1.U. S. 202: From Delaware River in Lambertville, via former Routes S-29 and 29 to a junction of Route 69 (former Route 30) in Ringoes, coincident with Route 69 to a junction with Route 12 and Route 69 in Flemington, via former Route 29 to a junction with Route 29 and Route U. S. 206 (former Route 31) in Raritan, then coincident with Route U. S. 206 (former Route 31) to a junction north of Somerville with Route U. S. 22 (former Route 29) and Route 28-29 Connecting Link, coincident with Route U. S. 206 (former Route 31), to a junction with Route U. S. 206 (former Route 31) at Bedminster, via former Route 32 at Morris Plains. Route U. S. 202 continues via local roads through Boonton, Mountain View, Pompton Lakes and Mahwah, to the New York State line near Suffern. 1953 renumbering. ROUTE NO. —-. Beginning in the vicinity of a new bridge to be constructed across the Delaware river, north of Lambertville, New Jersey, and running thence in a general northeasterly direction to a point in existing Route 202 (1953), north and east of Lambertville, New Jersey. Added by L.1967, c. 143, s. 1, eff. July 7, 1967. The road has borne the number 202 since at least 1935. Prior to this, sections of the road were designated U.S. Route 122, as it intersected U.S. Route 22. 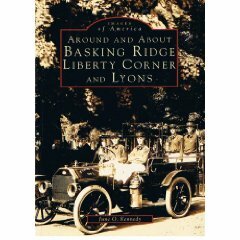 Its current designation is based on its intersection with US 2 in Maine.